It seems that most NFL fans are not loving the continued National Anthem protests. When former San Francisco 49ers quarterback Colin Kaepernick launched the protests last year, he undoubtedly had no clue that it would mean the end of his career and plummeting ratings for the NFL. Yet players have continued to protest and some players in particular have not responded well to the lack of fan support. New videos have surfaced of players spewing profanity towards their fans, after fans yelled at them from the bleachers. 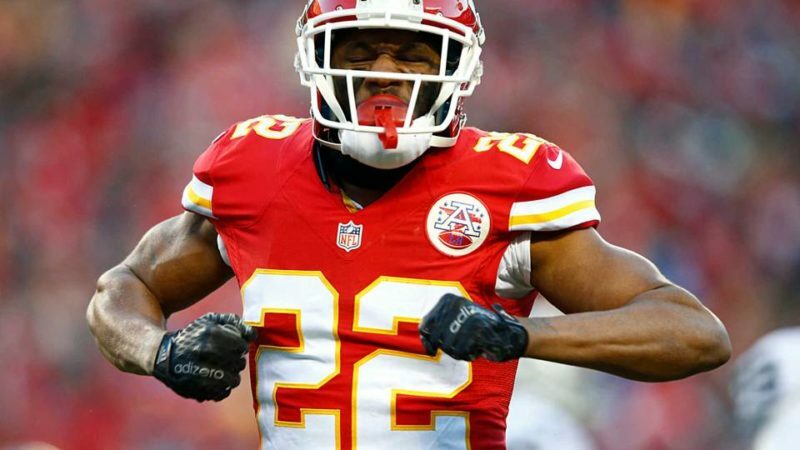 Kansas City Chiefs cornerback Marcus Peters was caught on camera yelling at a fan after he allowed a touchdown in the third quarter of the game. Peters could be seen yelling, “F*** you, b****!” at a fan and then slamming his helmet onto the ground. The incident was aired live on ESPN. During the same game, Washington Redskins wide receiver Terrelle Pryor threw f-bombs at fans, and also flipped them off, as he walked through the tunnel towards the team’s locker room. It started when a fan yelled, “Hey Terrelle, you b****! F*** yo! F*** Ohio State! !” and Pryor responded, “F*** me? F*** you!” while holding up his middle finger. He also raised his helmet into the air as if he was going to throw it. But after the same fan called him a “little p****”, he really got heated and a staffer then had to try to calm Pryor down, and push him into the tunnel. The Redskins lost the game to the Chiefs. This kind of behavior shouldn’t be acceptable in the NFL, but it appears that both players will escape without any major punishment. The fans, obviously, were out of line also, but the answer to poor behavior is not to respond in kind — and especially not in front of television cameras.